Mitt Romney Likes Grits, Y'all! Mitt Romney Likes Grits, Y’all! The liberal in me wants to suggest other ways Romney could have clumsily pandered to Southern voters (I’m taking banjo lessons! I’ve got a purdy mouth! Meet my cousin, Ann! ), but counter to most people’s knee-jerk reaction to mock this clip, I actually think Romney struck just the right note here. The problems Romney has had connecting with voters have stemmed from either a denial of his own wealth (like his “pink slip” comment, or his joke about being unemployed), or an obliviousness to it (the casual $10,000 bet, the twin Cadillacs, the stable of NASCAR team owners he pals around with). 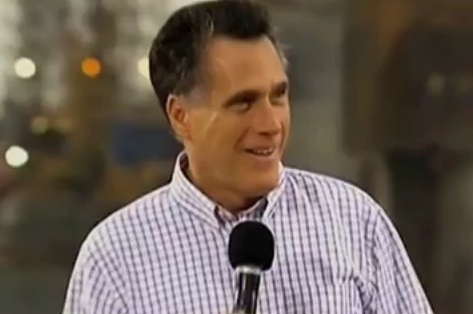 In this case, Romney seems to know who he is and what he’s doing, and the crowd is in on the joke. He’s not trying to pretend he’s one of them, and he’s not demonstrating the degree to which he isn’t one of them. He’s acknowledging that he’s an outsider who is charmed by them. Nicely done, and give Romney props for not reminding the crowd that one of his key endorsers, Tim Pawlenty, is also how Southerners would order grits at an Italian restaurant.